Barry Brewster MAppSc; ADipCivEng; CMF. Barry Brewster is CEO of RiskIQ based in Brisbane and one of only three Internationally Certified Master Facilitators in Australasia. He specialises in facilitating change in complex project and business environments. With over thirty-five years of experience in Asia Pacific, Europe, Canada and the United States he works as a project optimisation specialist for major and mega projects globally. Barry’s previous roles have been as a Principal with Advisian, a member of the WorleyParsons Group of Companies based in Hong Kong where he led project optimisation programs across the globe. The clients Barry has worked with vary from Infrastructure companies and projects up to US$5b, Oil & Gas programs up to US$30b as well as multiple organisational change and development programs across all sectors. Previous to his 14 years in Hong Kong he ran his own consultancy in Australia focusing on a two-year program of stabilising and redesigning the Australian Youth Ambassadors for Development Program (AYAD) for AusAID. This involved intensive, politically sensitive work across 13 AsiaPacific third-world Countries. The program has been very successful and is now called Australian Volunteers for International Development (AVID). Barry has also fulfilled roles as Asia Pacific G.M. For an international power company and 20 years in Queensland Government Main Roads Department. Clients seek out Barry because he successfully helps them leverage the knowledge and wisdom from within their organizations to produce sustainable results. 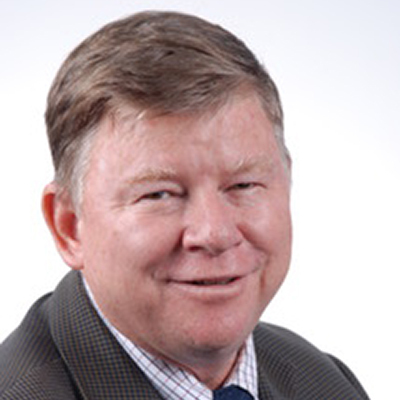 Barry holds a Master Degree in Applied Science (Behavioural Science) a Graduate Diploma in Innovation and Service Management both from RMIT University in Australia, and an Associate Diploma in Civil Engineering from Queensland University of Technology in Australia. He is a board member of the International Institute for Facilitation, and has a unique ability to facilitate collaboration, energise people towards innovation and bring about change as an AGILE leader in the industry. He is co-author of a series of five books titled “The Agile Business Leader®” published 2010-2014.